To this day, the Harbor of La Ciotat is the only site in France to accommodate Megayacht refit projects, thanks to its great dry dock. In 2017, 11 yachts with an average size of 87m had the opportunity to witness the expertise of local companies in the sector. With the significant development of this market segment, our belief is that this expertise can and should benefit a greater number of ships. This is the purpose of an investment project in a new platform serviced by a 4000T shiplift. In October 2017, La Ciotat Shipyards launched a call for projects to private operators to award them exclusive occupancy rights of very long duration for some locations. Following the proven model for the 2000T shiplift, La Ciotat Shipyards wishes to confirm the economic opportunity of this investment, while sharing the financial risk. Worldwide exclusivity, the platform will also have a “public” space accessible to all operators (under short-term agreements awarded through a tendering procedure). The operator who won the call for projects is M92 La Ciotat. The Megayacht platform and its 4000 tonne lift will be inaugurated in 2020/2021. 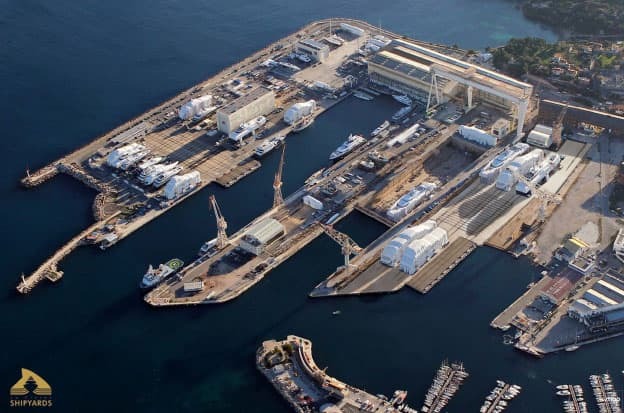 After completion of the project, La Ciotat Shipyards will become an unparalleled pole of excellence in the world for refit, maintenance and repair of Megayachts.